ReSound was founded in Denmark in 1943, with the commitment to helping people rediscover hearing in order to live rich, active, and fulfilling lives. 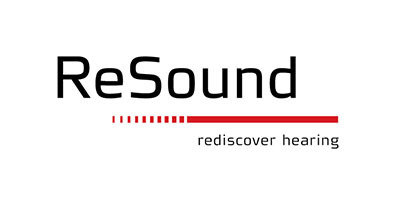 In the past few decades, ReSound has introduced a number of exciting hearing products and technology. They were the first to produce an open-standard digital chip, Wide Dynamic Range Sound Processing (WDRC), and Digital Feedback Suppression (DFS). With natural, clear sound and a comfortable listening experience, ReSound distributes hearing aids worldwide, with offices in 25 countries. The basis for their work is rooted in worldwide research and feedback, incorporated into accessible, flexible, and sophisticated hearing instruments. The LiNX2 is the second generation of Phonak’s groundbreaking Made for iPhone hearing aid, building upon the successes and advancements of its predecessor. The LiNX2 is equipped with an updated processing platform and new and improved features. With exceptional sound quality, speech recognition, and spatial awareness, the LiNX2 is a leading wireless hearing aid with great adaptability and accessibility. By connecting wirelessly to the iPhone (or other personal electronic devices), the LiNX2 patches wearers into a world of accessibility. LiNX2 wearers stream music, media, and phone calls directly from their devices to their hearing aids – eliminating the frustrating experience of feedback from amplification. With the iPhone’s GPS feature, the LiNX2 uses a geo-tag function to archive user preferences in specific locations. When you return to this location, LiNX2 will automatically make the adjustments to the ones you had saved previously. This adds a layer of seamlessness to a natural listening experience. LiNX2 is chockful of many exciting features to support those who experience hearing loss. Hearing loss interferes with one’s ability to locate sound and recognize speech. The Surround Sound feature helps wearers locate the source of sound in their environment, with access to a 360-degree spectrum of sound. Additionally, New Binaural Directionality II simulates a natural, binaural listening experience for wearers, in which audio data is received and balance from both ears. This supports the brain by providing a clearer picture of sound. 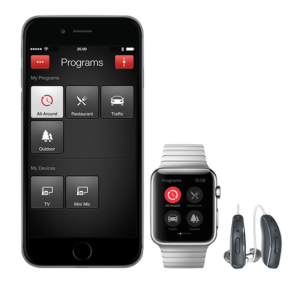 For those who need an extra boost, the Live Listen feature on ReSound’s Smart App uses the iPhone as an assistive listening device, capturing sounds through the microphone and streaming amplified sound to the LiNX2 hearing aids. Compatibility with iPhones also gives an extra boost to wearers who find themselves in particularly challenging sound environments. The Live Listen feature with the ReSound Smart App turns the iPhone microphone into an assistive listening device. LiNX2 wearers simply place the iPhone near the sound source they wish to amplify and the iPhone streams the sounds directly to the LiNX2. Additionally, the Smart App allows wearers to control program features and check battery life on the LiNX2, giving an extra layer of discretion. LiNX2 is coated with iSolate Nanotech Protective Covering, which helps to protect the sensitive electrical components from water, debris, sweat, oils, and dust. For those who experience tinnitus, LiNX2 offers Nature Sounds, a sound therapy feature to provide relief from the frustrating noises of tinnitus. ENZO2 is Phonak’s super power hearing aid solution, designed to address the challenges of severe to profound hearing loss. With enhanced speech recognition and increased spatial awareness, ENZO2 has amped up versions of New Binaural Directionality II, Spatial Sense, and Surround Sound. ENZO2 wearers will also appreciate features such as Speech Focus, to assist with speech recognition; Comfort in Noise, to help balance sounds from a noisy environment; Comfort in Wind, especially great for those with active lifestyles; and Feedback Cancellation, to provide comfort from over-amplification. As a wireless hearing aid, ENZO2 allows wearer to connect to their smartphones and similar devices. With the ReSound Unite line of accessories, ENZO2 also allows wearers to connect to home entertainment systems, streaming sound directly to the hearing aids. To address pediatric hearing loss, ReSound offers Up Smart, a line of hearing aids designed for children. These are designed to be durable and tamper-proof, and to grow with kids as they develop. 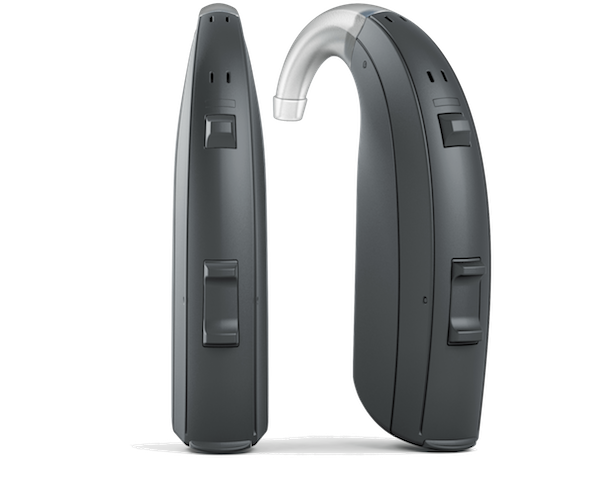 ReSound hearing aids are fully customizable, some with the new SureFit ergonomic design, molded from the wearer’s ears for personalized comfort. The LiNX2 hearing aid is available in invisible-in-canal, in-the-ear, receiver-in-canal, and behind-the-ear styles. They treat hearing loss from mild to profound in degree. The ENZO2 hearing aid is worn behind-the-ear and is available in three power levels: Power, High Power, and Super Power. It is designed to treat severe to profound hearing loss.